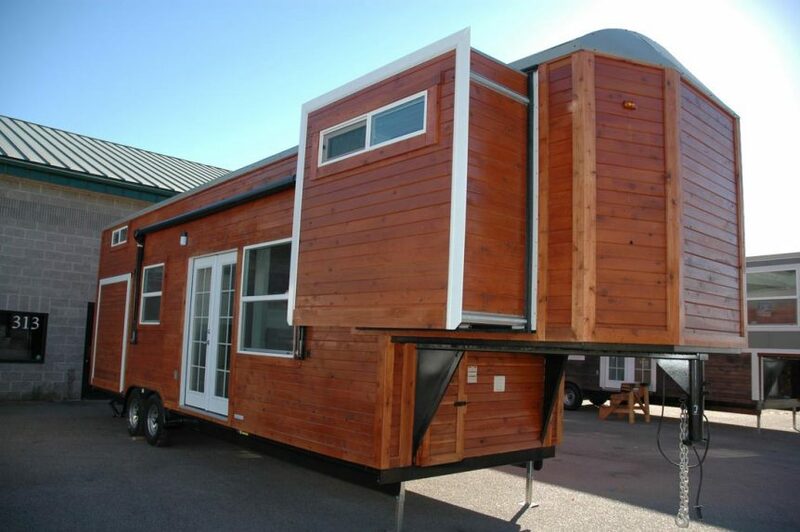 The Carpathian is a 35′ long, 320 sq.ft. 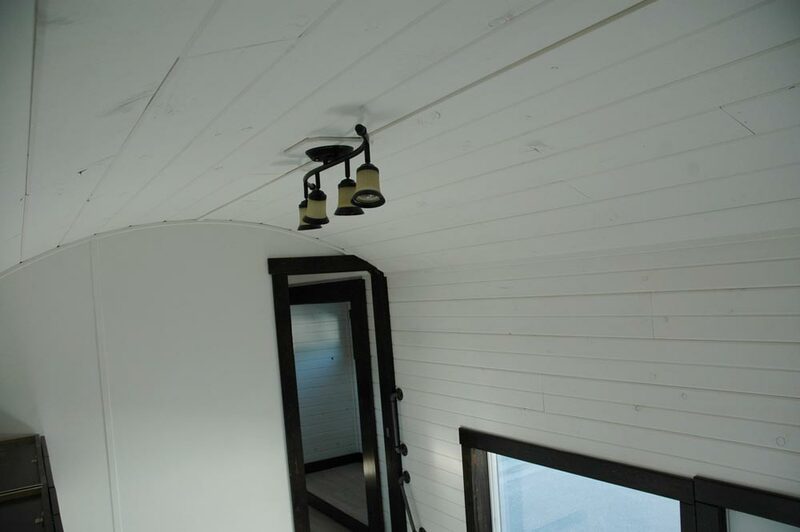 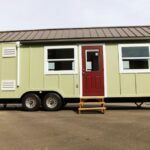 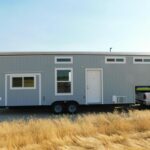 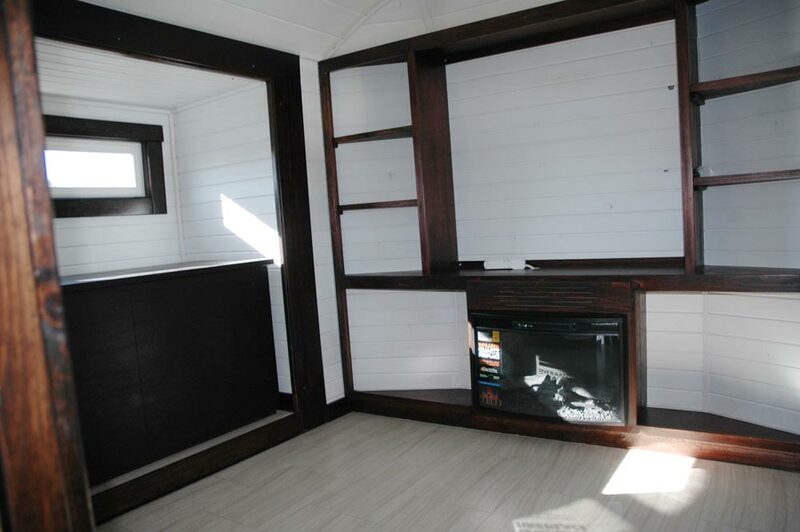 gooseneck tiny house built by Tiny Idahomes. 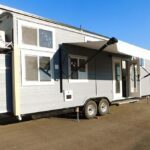 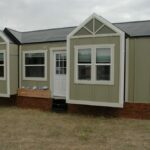 This model includes three slide outs — two in the living room over the gooseneck and one in the rear bedroom. 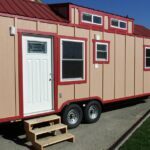 It has a front living room/bedroom with a Murphy bed in one of the slide outs, a full size bathroom, and bedroom in the rear. 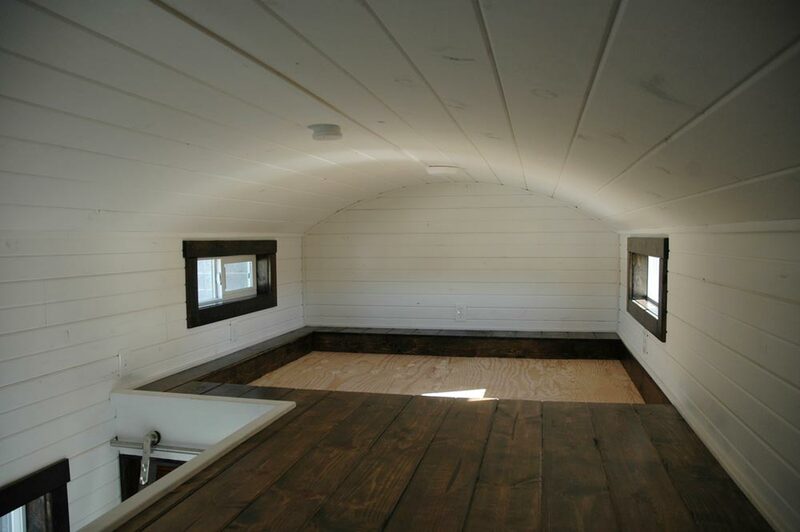 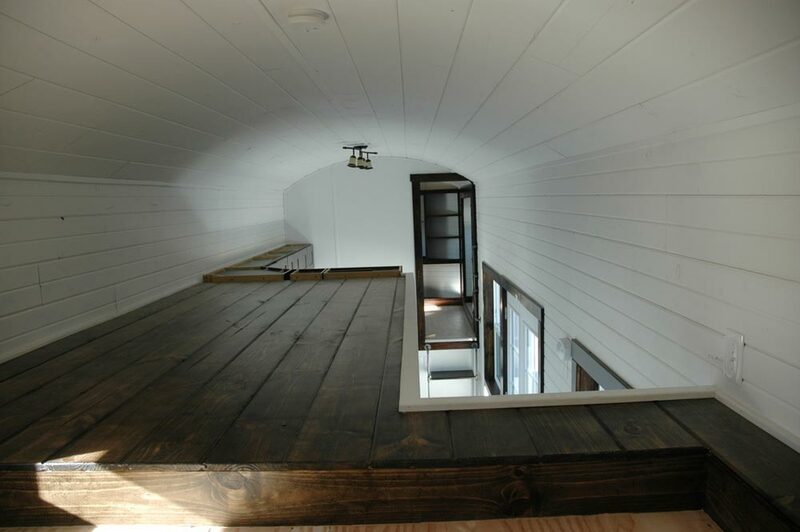 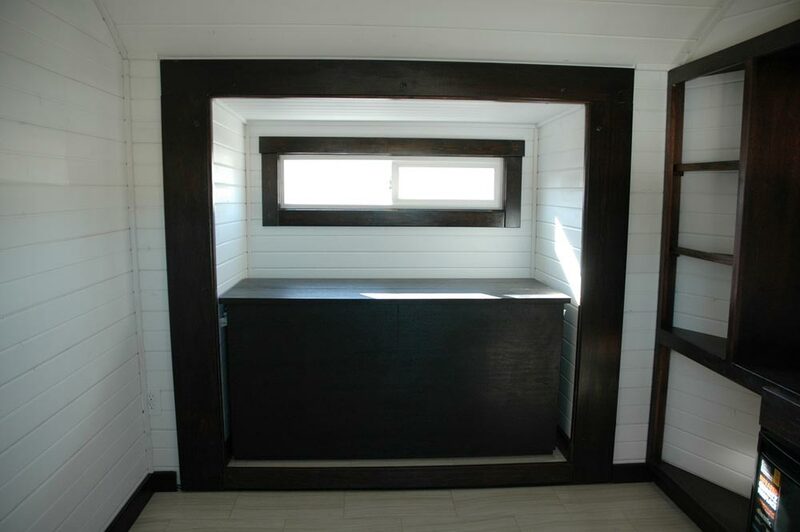 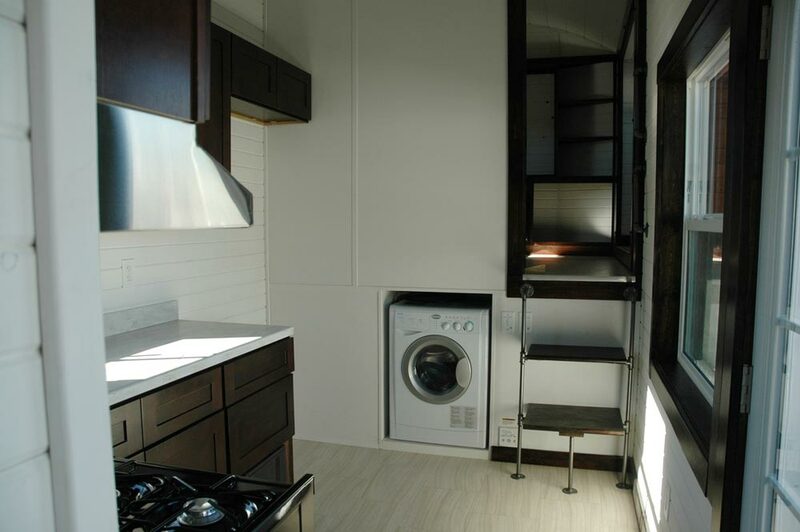 There is also an “L-shape” loft with a 6″ recessed drop for a queen size bed, allowing for more head room. 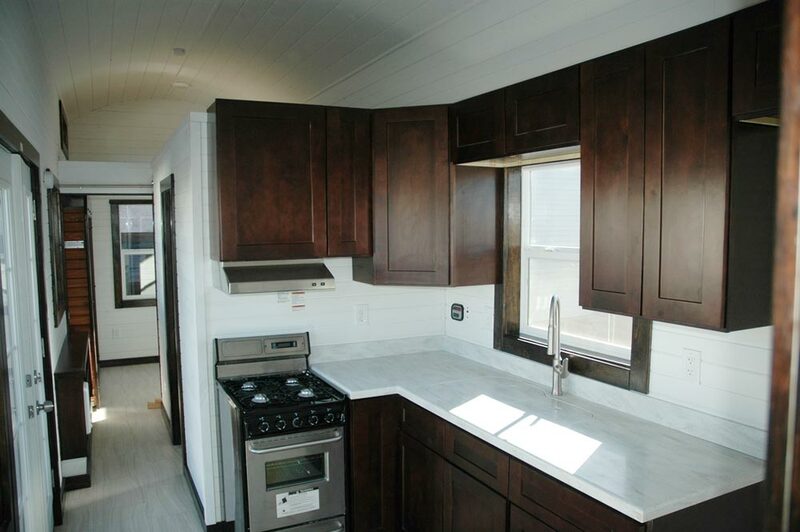 The kitchen uses mahogany cabinets, Corian countertops, and a 20″ stainless steel range. 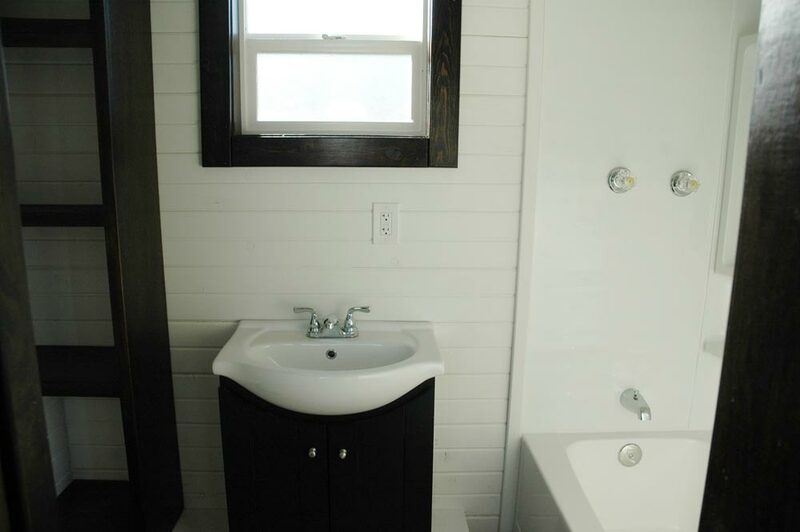 The double basin kitchen sink comes with a Corian cover so it can be used as countertop space while not in use. 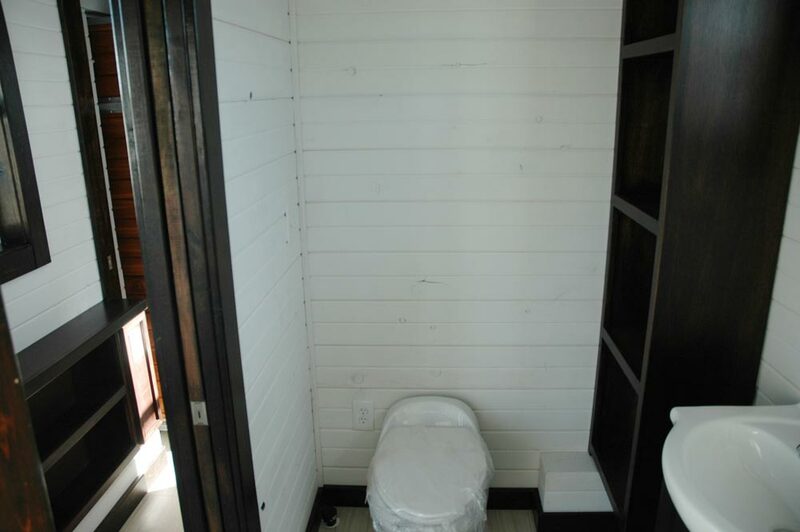 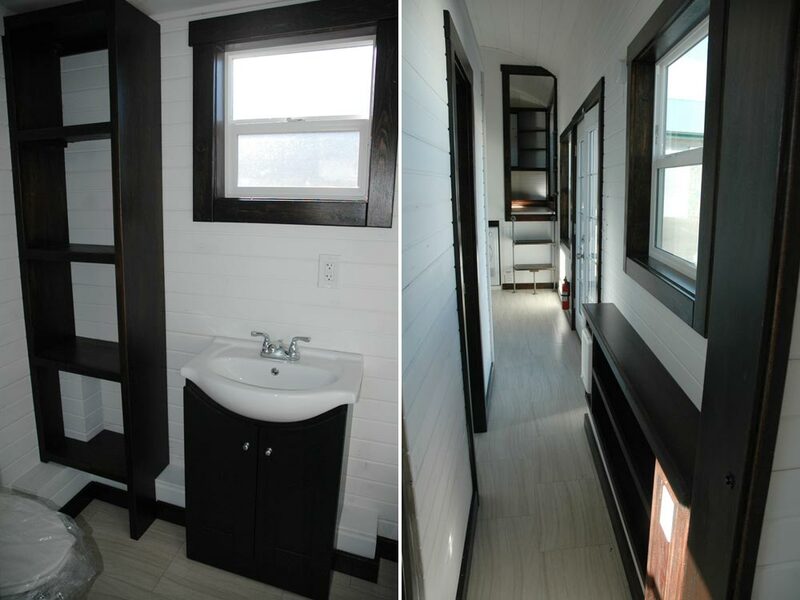 The bathroom includes a full size tub, RV toilet, and has plenty of storage space. 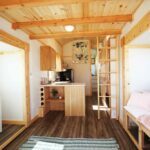 The Carpathian can sleep 8 people. 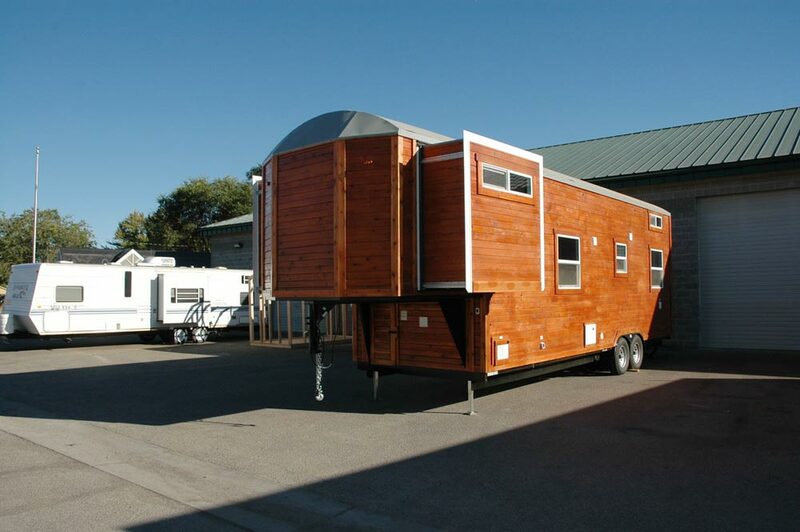 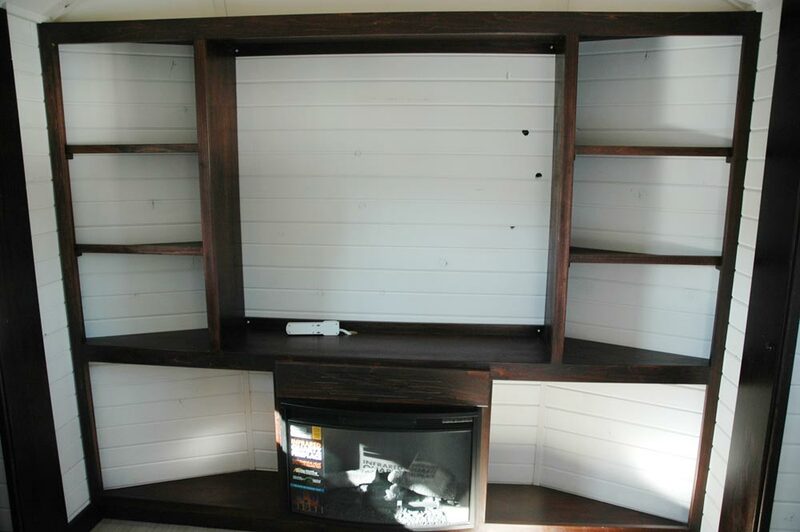 The base price is $55,000 and with upgrades the one shown below was $72,000.